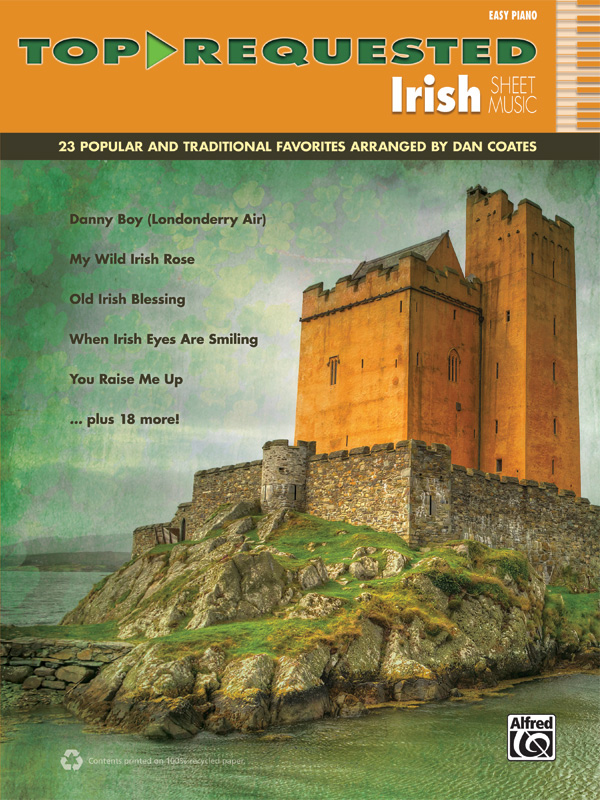 * This easy piano collection is perfect for every Irish celebration, from St. Patrick's Day parties to weddings, and more. * From nostalgic ballads to raucous pub sing-along favorites, these songs are guaranteed to entertain today's audiences. * Notably easier to play than standard piano/vocal sheet music, these arrangements by acclaimed piano arranger Dan Coates sound great either as piano solos or to accompany sing-alongs. * Complete lyrics and chord symbols are included. * Titles: The Black Velvet Band, Clancy Lowered the Boom, Cockles and Mussels (Molly Malone), Danny Boy (Londonderry Air), I'll Take You Home Again, Kathleen, The Irish Rover, The Irish Washerwoman, Irish Wedding Song (The Wedding Song), It's a Great Day for the Irish, The Kerry Dance, The Last Rose of Summer, Mother Machree, My Wild Irish Rose, Old Irish Blessing, The Parting Glass, The Rocky Road to Dublin, Seven Drunken Nights, Too-Ra-Loo-Ra-Loo-Ral (That's an Irish Lullaby), The Wearin' of the Green, When Irish Eyes Are Smiling, Whiskey in the Jar, The Wild Rover, You Raise Me Up.